‘Power Africa’, an initiative of USAID to increase access to power in Sub-Saharan Africa, saw huge investment commitments in the first ever US Africa Leaders Summit that started Monday, August 4. 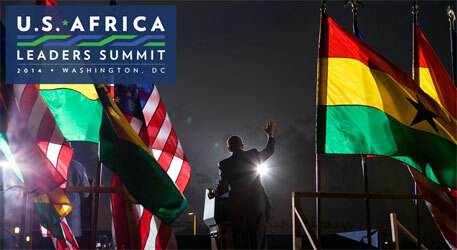 More than 40 heads of state and government leaders all across Africa joined Barack Obama administration in Washington. The Power Africa initiative was announced by President Obama in June 2013 in Cape Town, South Africa. It is intended to increase access to power in Sub-Saharan Africa, where 600 million people (70 per cent of the population) are without power, using sources available in the region, thereby focusing on energy security and promotion of economic development. Currently, there are commitments worth $25 billion of which $5 billion has been committed by the World Bank with low interest credit and loans in the region. General Electric committed another $2 billion to increase access to energy in Sub Saharan Africa. According to the White House Press, $12 billion were promised to develop energy infrastructure in Africa both through private and public partnership. The total commitment from General Electric and others add up to $ 14 billion, which would be in addition to the $25 billion already committed to the initiative. Power Africa aims to add 30,000 megawatts (MW) of additional capacity and expand electricity access to at least 60 million households and businesses. The annual report states, a year since its conception, the Power Africa had helped “facilitate the financial close of transactions which expect to produce nearly 2,800 MW of new generation capacity and another 5,000 MW are under process”. Another issue that is not addressed is whether the focus of the investment would be on extending the central grid or would distributed generation be encouraged to meet the needs of the energy poor. The Sierra Club, one of the largest grassroots environmental organisations working in the region, says that “the centralized infrastructure of the power grid will not be necessary in developing countries, where solar micro grids will power communities”.